We have an impressive record for fundamental and applied research, and our strength in translating discovery into impact is recognised globally. Our experts strive to answer complex questions and meet real-world challenges by delivering scientific insight and innovation in areas as diverse as finance, navigation, conservation, and mining and transport. Our close-knit, collegial environment provides varied opportunities for cross-disciplinary projects, collaborations and engagement. Find information and resources about our higher degrees by research. 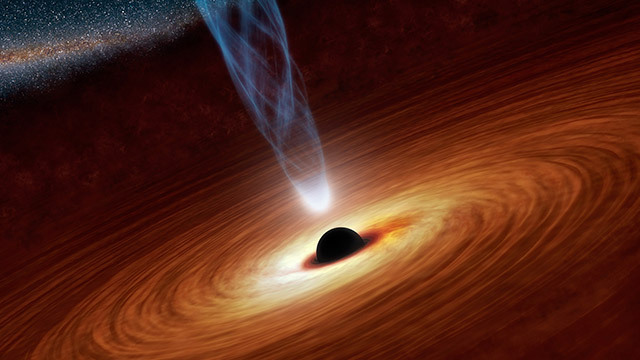 Our experts are part of a multi-institutional collaboration that is pioneering astrophysics research into supermassive black holes, and paving the way for future discoveries in the discipline.